Hello you lovely lot! Hope you’re all having a luscious weekend in the sunshine. I know I am! I’ve been busy busy busy having picnics at the park and strolling by the beach, so keep you’re eyes peeled for a post on that in the next few days. For now though, here’s what I wore this week. Again, there are a few days missing – sorry! I need to get better at doing this, I always forget! 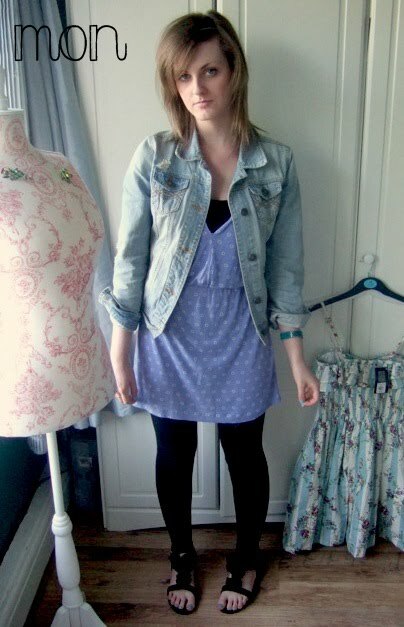 Dress – Flea Market, Vest – Topshop, Denim Jacket – Primark, Leggings – Miss Selfridge, Sandals – Dorothy Perkins. Dress – Primark, Belt – Primark, Leggings – Topshop, Sandals – Dorothy Perkins. 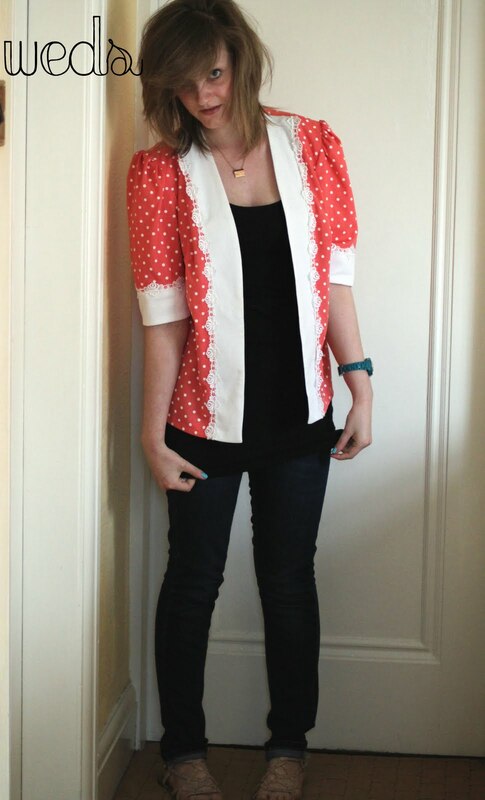 Blouse – Delightful Muddle, Vest – Topshop, Jeans – Topshop on eBay, Sandals – Dorothy Perkins. 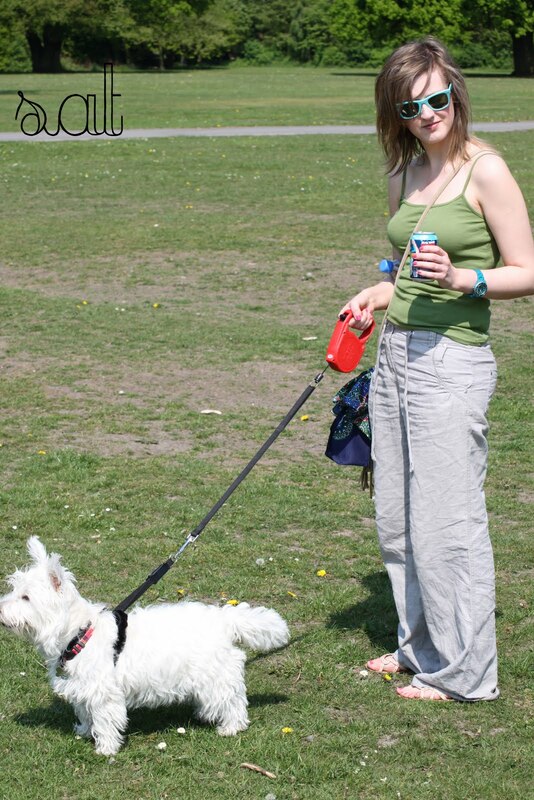 Camisole – Primark, Linen Trousers – F&F at Tesco, Sandals – Dorothy Perkins, Sunglasses – Ray Ban. Jumpsuit – George at Asda, Flip Flops – George at Asda, Sunglasses – Ray Ban, Bag – eBay, Scarf, Charity Shop. "STYLE CRUSH: SARAH JESSICA PARKER"
Love this 🙂 as always I am loving your wardrobe for this week! Great idea for a post – I look forward to seeing more in the future! Love this feature, you look great! Jealous of the Primark loveliness, though Forever 21 has been serving me well. New to your blog and loving it! I like the 'a week in my wardrobe' idea, I've been looking for a way to include 'what I wore' style posts into my own site without it looking random and I think you've come up with one of the best solutions I've seen! Love this 🙂 You're such a stunner!